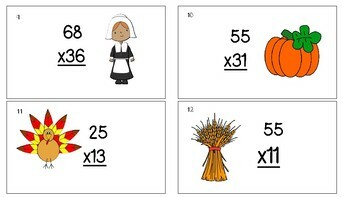 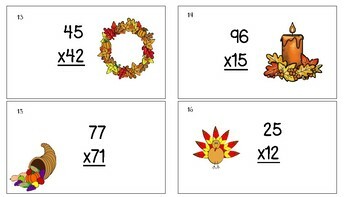 Need a Thanksgiving math activity? 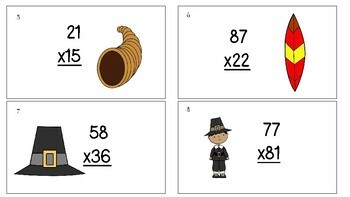 Try this two-digit by two-digit multiplication SCOOT game! 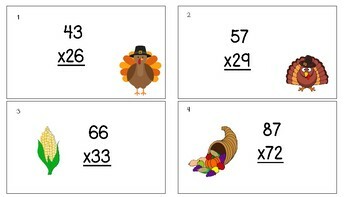 Included is 20 task cards, a recording sheet, and answer sheet!